Russia and the "D/LPR" insist on "Steinmeier formula". 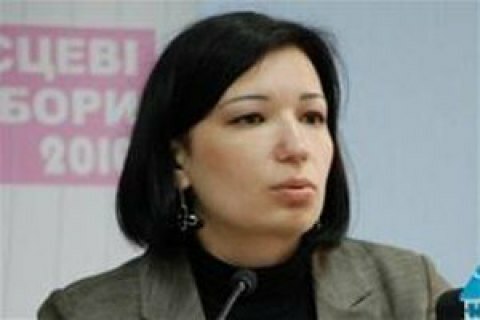 Due to the position of the Ukrainian side the issue of elections in the militant-held territories in Donbas is no longer on the agenda of the Trilateral contact group in Minsk, a representative of the political subgroup at the talks Olha Ayvazovskaya said on Channel 5 on 10 March. "The negotiation process is at times much more complicated in terms of "victory" or "defeat" than it may seem, so the issues of elections and constitutional changes have been taken off the agenda of the talks, including through negotiations and the position of the Ukrainian side," she said. Aivazovska said that the delegations of "D/LPR" and the Russian Federation now stick to the so-called "Steinmeier formula". This approach, suggested last December by the German foreign minister provides for the procedure under which the Verkhovna Rada first adopts the law on the conduct of elections in the occupied territories, then elections are held, after which the OSCE concludes whether the elections have met to European standards. German Ambassador to Kyiv Ernst Reichel has suggested that the elections in the occupied part of Donbas can take place in the presence of the Russian army. Official Berlin supported Reichel's statement, but the German Foreign Ministry said that elections can be held but only upon Kyiv and Moscow agree on the terms of their conduct. The restoration of Ukraine's control over the state border should be the completion of the process of implementation of the Minsk agreements. President Petro Poroshenko has stated that the elections in Donbas without withdrawal of Russian troops are impossible. Ukraine in the autumn of 2014 adopted a law on the special order of local government in some regions of Donetsk and Luhansk regions, but amended it in the spring of 2015. The law suggests that the provisions on a special status of the breakaway "republics" will come into effect after holding democratic elections.